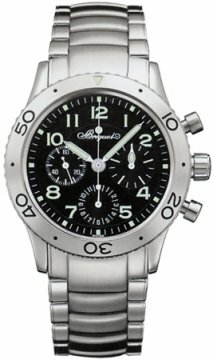 Breguet watches are among the oldest of all watch manufacturers with a deep history in which they have pioneered many watch technologies. It was founded in 1775 by Abraham-Louis Breguet. The company originally was situated in Paris in France but a year later it moved to Switzerland where it still remains today. It could be said that Breguet is responsible for the technology behind modern watches today as they were the company behind the first wristwatch and also the first tourbillon. Breguet watches becoming a favourite of royalty and high society and many pieces were commissioned for heads of state and members of royal families around Europe. 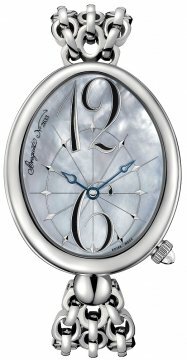 Breguet remained a family business until 1882, in this time the control of the company passed from Abraham-Louis to his son, and then to his grandson. After this time control of the company passed to the Brown family who also passed control of it through their family tree. Breguet have always kept a distinctive style within their watch making, a style which is instantly recognisable still today through their guilloche dials and their “Breguet hands”. 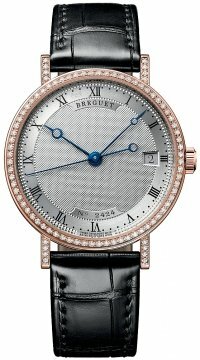 The respect the Breguet Company has earned throughout the centuries has allowed the company to retain its reputation for fine watch making and today its complex pieces are recognised for their intricacy as well as their accuracy. The range today includes the Classique, Heritage and Marine Collections as well as a range of Tourbillions which reflect the past innovation of the company’s founder. 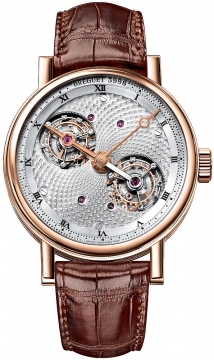 Breguet is now part of the Swatch Group.